A Profile of Brandon Click here for General information on Brandon and contact info. Brandon enjoys a healthy business climate. The area is self-sufficient and provides a wide range of services for the nearby rural areas and smaller towns. There are excellent real estate opportunities. In addition to a wide selection of residential properties and seasonal vacation homes, there are good values in the industrial and commercial markets. Brandon has been identified as having the best water in the State. Farming and tourism are part of the local economy today. In recent years, there has been a steady growth in the tourist service sector with a wide variety of lodging and eating opportunities. Our area has maple syrup producers, nurseries, a farmstand, and hobby farms with alpacas, goats and emus! Brandon is a rich community with more events and happenings per capita than any other town, an active and engaged citizenry, and beauty at every turn! Keep reading to learn more about our fabulous town! Brandon has opportunities for de velopers and small business people. The Denecke Industrial Park, one mile north of town, has manufacturing space available. 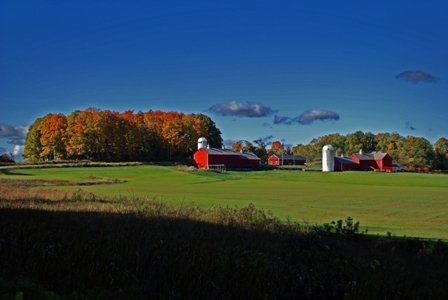 Park Village, the grounds of the former Brandon Training School houses mixed use businesses including businesses offices, Otter Valley Union High School’s Moosalamoo Center, the offices of Rutland Northeast Supervisory Union, the Rutland County Parent Child Center day care center, Porter Medical Center offices, the marineengine.com headquarters, Compass Music and Arts Center, the McKernon Group offices and Wintergreen Residential Care Home Providing 24 hour care for our residents who can no longer take care of themselves in a safe and healthy manner. Housing on the premises includes senior and affordable apartments. Brandon’s school system is of a high standard, with students consistently testing well above the national average. Neshobe School serves about 325 children K-6. Otter Valley Union High School (7-12) is regional and serves about 715 students from six communities. The Brandon Free Public Library is loaded with historical documents as well as about 30,000 volumes. Its children’s room and programs are exceptional. The Friends of the Library run a seasonal used and antiquarian book sale in the basement of the building. The Library is located at the corner of Route 7 and Park Street. The Brandon Town Office is a great place to get more information about moving to Brandon. Church congregations in town include: Baptist, Congregational, Catholic, Episcopal, Methodist and other faith denominations. .Airport Service is out of Burlington International Airport, 60 miles north. There is also service from Rutland on Cape Air which connects to Boston. Train service from New York City via the Ethan Allen Express into Rutland is an excellent method of transportation into the area. Climate resembles the rest of the Champlain Valley. Temperature Averages — Maximum/Minimum – Burlington VT Weather Bureau: Jan. 25/8; Feb. 27/9; Mar. 38/21; Apr. 53/33; May 66/44; June 76/54; July 80/59; Aug. 78/57; Sept. 69/49; Oct. 57/39; Nov. 44/30; Dec. 30/15. Health Care – Brandon is fortunate to have two general practitioner offices, two dentists, one internist, one veterinarian, one chiropractor, an assisted living facility and two pharmacies. Hospitals are located 16 miles in either direction — Rutland Regional Medical Center to the south and Porter Medical Center of Middlebury to the north. Newspapers – One weekly newspaper reports local news. The Reporter (802-247-8080). The Rutland Herald (800-498-4296) is the area’s daily paper. Utilities: Electricity: Green Mountain Power; Fuel: oil or propane by private arrangement; Sewer: if in town district provided by Town of Brandon or else on private system; Water: if in town district provided by Brandon Water District or else by private well; Cable – Comcast or various satellite providers.